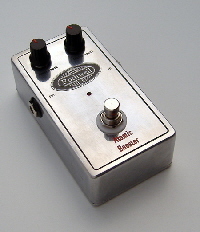 Rothwell make the best boutique effects pedals available. 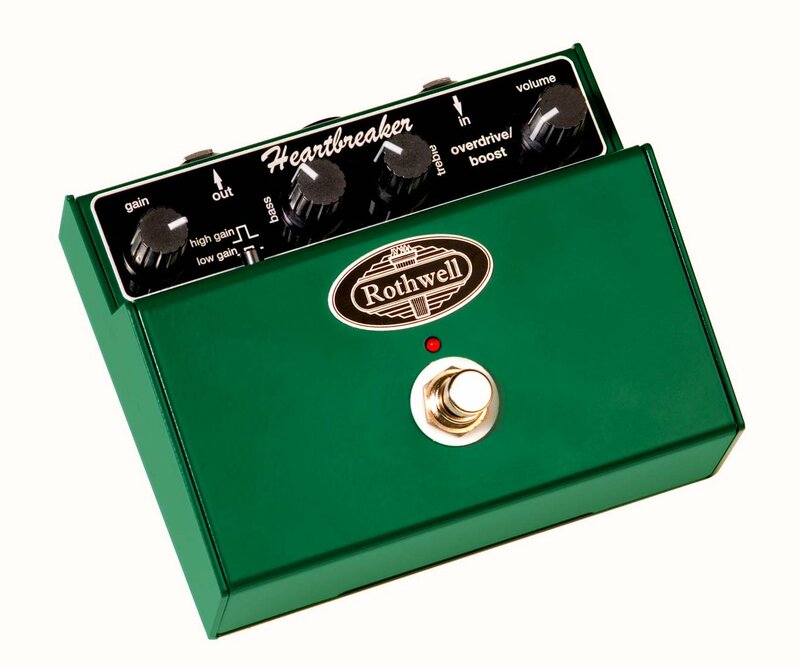 More and more guitarists who care about their tone are discovering what great pedals these are and since their introduction in 2007 these pedals have been used on some of the world’s biggest tours - check out who uses Rothwell? All the pedals are hand-made in the UK to the highest possible standards. The circuit boards are produced in the UK and assembled by skilled UK workers (aerospace industry certified), the cases are carefully polished and engraved in the UK, and the final assembly is done in the UK. The award winning sound quality is due to innovative circuit design by people who actually care. The circuits may be computer modeled and CAD systems may be used to calculate filter parameters but the end result is always subjected to the ultimate test - real world guitar playing and critical listening. 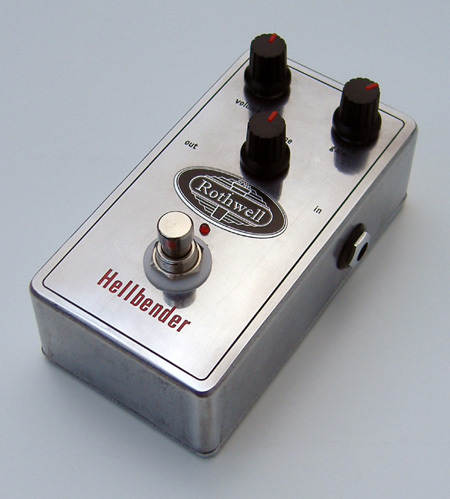 The Hellbender is an overdrive pedal which ranges from mild and bluesy to thick, singing lead tones. The filtering before, between and after each stage of distortion keeps the bottom end tight and clean and makes this pedal very touch sensitive. The Heartbreaker is our most versatile overdrive/boost pedal with a very wide range of sounds from low distortion boost to highly saturated lead tones. The bass and treble controls and high/low gain switch make for a very flexible sounding pedal which can accommodate a wide variety of styles. The Love Squeeze is a compressor with a very subtle and soft compression for fattening up guitar sounds without sounding obviously processed. The Hot Little Knob is a passive booster for Strats. It’s a push-pull control which replaces one of the tone controls and gives an increase in volume and fattens the tone by placing the bridge and middle pickups in series. With the switch in the down position, it acts as a normal tone control and everything is as stock. Neat. The ACT is an advanced coil-tap which replaces conventional coil-taps for a much more satisfying sound. 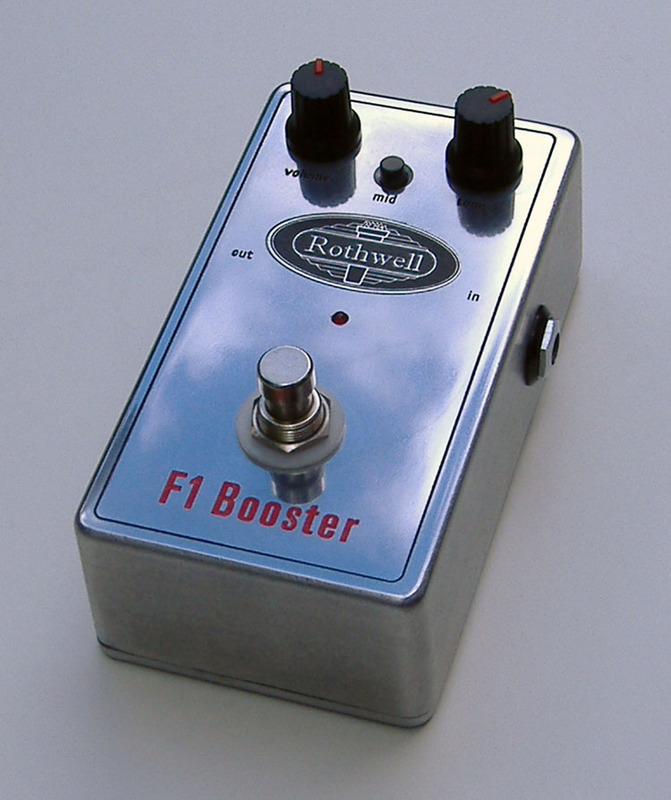 The F1 Booster is a clean boost pedal with a tone control to fine tune the bass and treble content of your signal and with a switchable mid range setting that will give a boosted or scooped mid range. The boosted midrange enhances Marshall style bark and the scooped setting gives a more jangly Vox or Fender sound, ideal for rhythm playing. 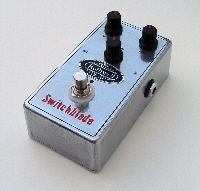 The Switchblade is a heavy rock distortion with more bottom end and more saturation than the Hellbender, but with the gain control backed off this pedal will also do a great job of lower gain rock tones. The Major Bypass is a passive loop switcher designed to switch one or more pedals in and out of series with your signal chain. This allows a pedal or combination of pedals to be totally removed when not in use. The Tornado is a single-ended class A overdrive using JFETs throughout to create a very amp-like response. The shift button creates two distinct voices - one modern and one vintage. The Cool Little Knob is an advanced coil tap for hunbuckers. It will add clarity and sparkle to the top end without the volume drop and thin bottom end which conventional coil taps suffer from. The Neck Adder allows you blend the neck pickup on a Strat with any other pickup combination, giving you the option of all three pickups together and bridge + neck pickups.